Robert Havlin feels it will take a good horse to stop Wissahickon from completing a five-timer in the Betway Winter Derby at Lingfield. 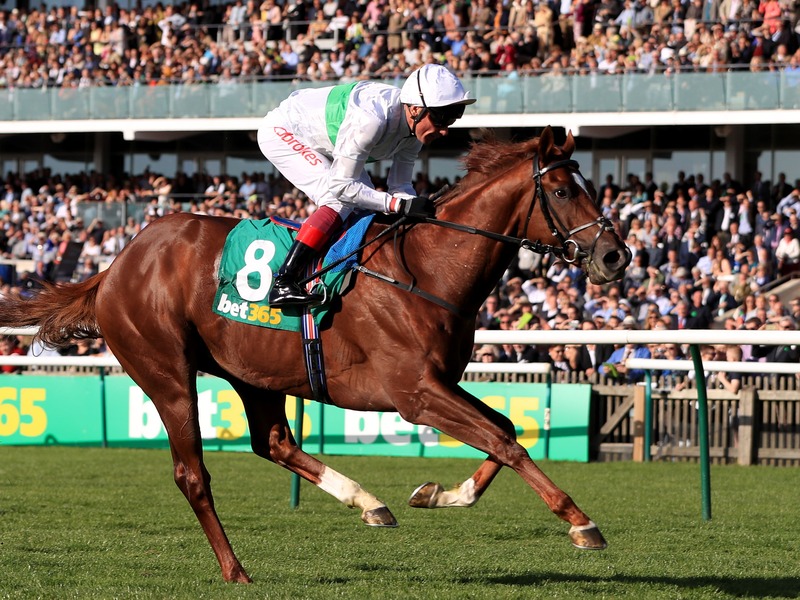 Havlin partnered the John Gosden-trained son of Tapit to Listed success at the Surrey track in November – and the 45-year-old, currently sidelined with a broken collarbone and fractured rib, expects him make the step up to Group Three level in the mile-and-a-quarter prize on Saturday week. The George Strawbridge-owned colt followed up his victory under Havlin when reunited with Frankie Dettori for the first time since winning last year’s Cambridgeshire when winning the Winter Derby Trial earlier this month. Havlin said: “If he turns up and gets the luck in running, he is just a class above everything else that is running at the moment. “He is really relaxed. When I rode him in the Quebec Stakes they went no real gallop, but he relaxed lovely and he picked up well. Looking further ahead, Havlin believes there could be plenty of big days for stablemate Dubai Warrior, who is as short as 14-1 for the Investec Derby at Epsom. The son of Dansili made a big impression when making a winning debut under Havlin at Chelmsford back in November. He added: “Dubai Warrior is a big, imposing horse, but he is a gentle giant. Obviously he has got to improve on what he has done, but he looks to be pretty exciting. “He is a big frame of a horse, but when he muscles up and strengthens up into it, he will be exciting. I couldn’t pull him up at Chelmsford after the race so I let him go round. Looking to stay in the know on Cheltenham? See the latest Cheltenham tips ahead of the upcoming festival.